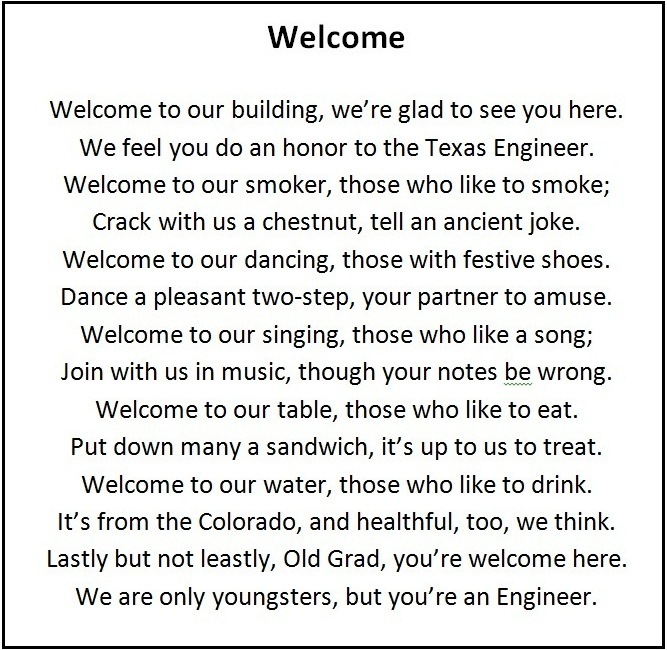 Texas Engineers Know How to Party! The Thanksgiving Eve Engineering Reception drew capacity crowds. 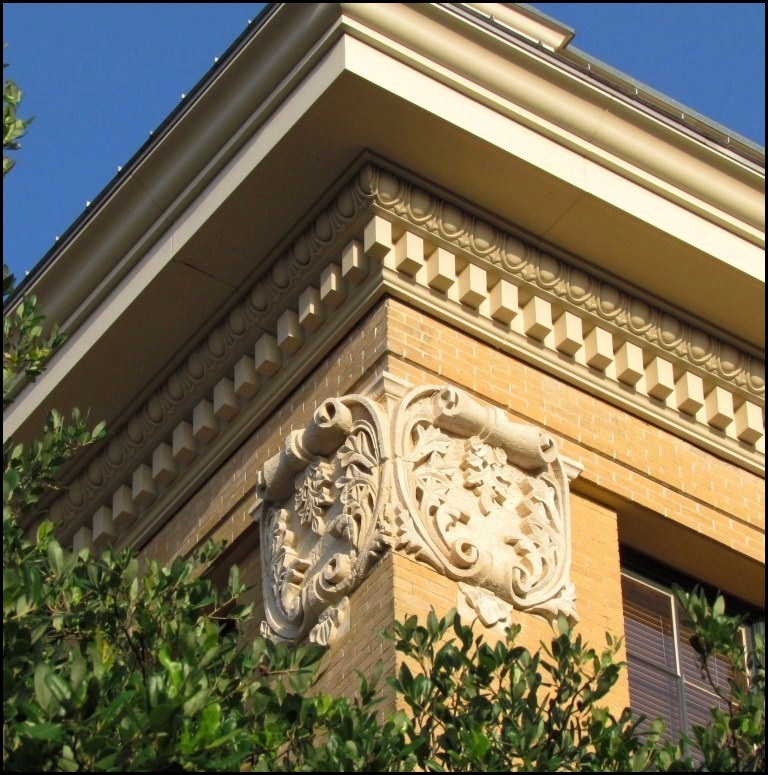 Above: The Engineering Building, today’s Gebauer Building. It was the social event of the fall term. Everyone wanted to attend. For a decade on Thanksgiving Eve, students, faculty, staff, and alumni donned their finest attire, gathered on the Forty Acres, and headed straight for – of all places – the Engineering Building. There, they were dazzled by the electric lights, amazed at the science exhibits, laughed at the variety show, enjoyed the plentiful refreshments, sang along at the rooftop concert, and danced into the wee hours on the top floor. Thanksgiving could wait. 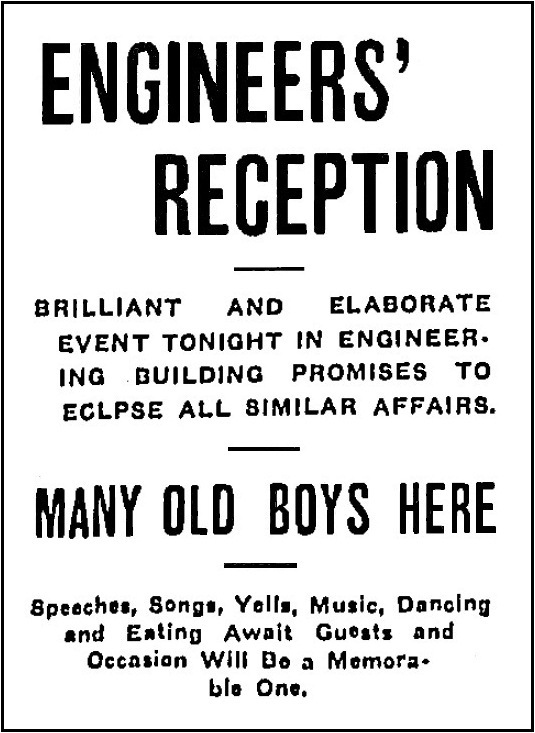 This was the Engineering Reception! 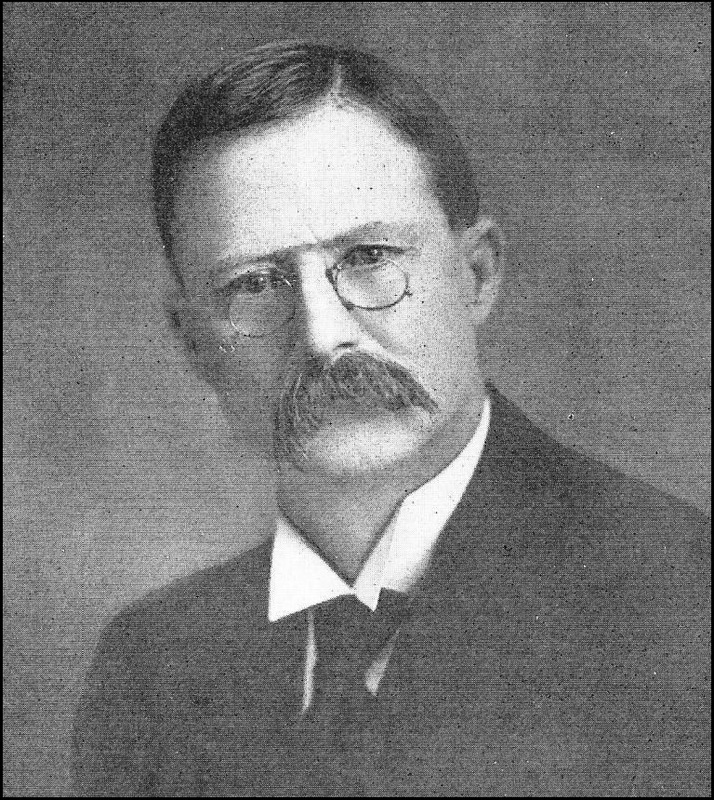 Starting in 1900, Dean of Engineering Thomas Taylor (photo at right) hosted an annual banquet for his students. 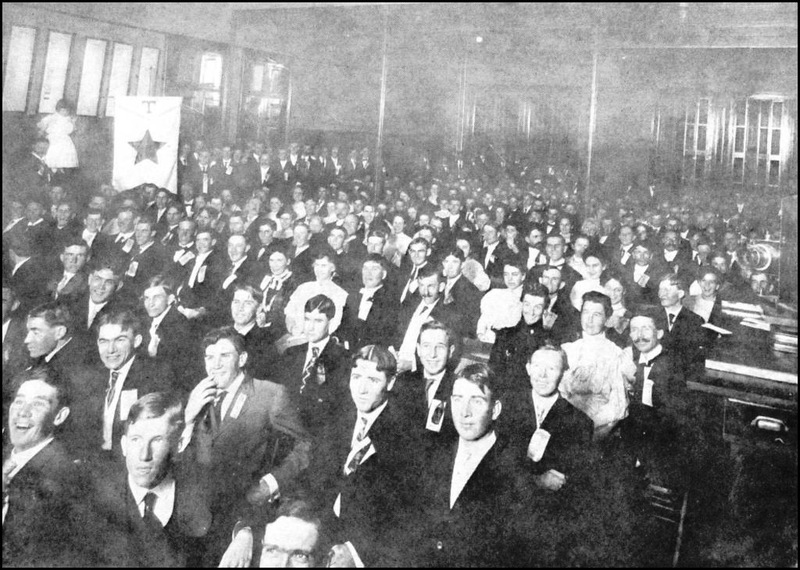 Held at the Driskill Hotel in downtown Austin, Taylor scheduled the event near Thanksgiving to ensure his engineers enjoyed a feast, as most wouldn’t make it home for the holiday. University students were inclined to remain in Austin for Thanksgiving. There was always a home football game scheduled that afternoon, usually against the A&M College of Texas. Besides, Friday was a class day, and there usually wasn’t enough time to make the trip to home and back. By 1907, the engineers had exceeded the capacity of the Driskill. 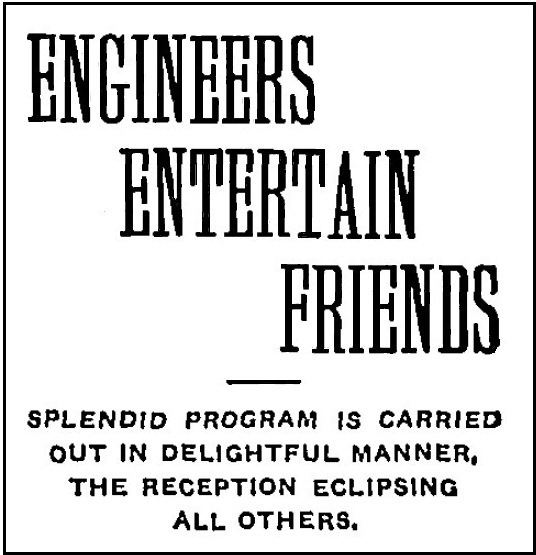 “On account of the marvelous growth of the engineering department,” announced The Texan newspaper, “the annual Engineers’ Banquet had to be abandoned this year.” The students met to discuss the issue, and “it was the unanimous choice of those present to hold a reception, smoker, roof garden party, and dance.” It was ambitious idea. 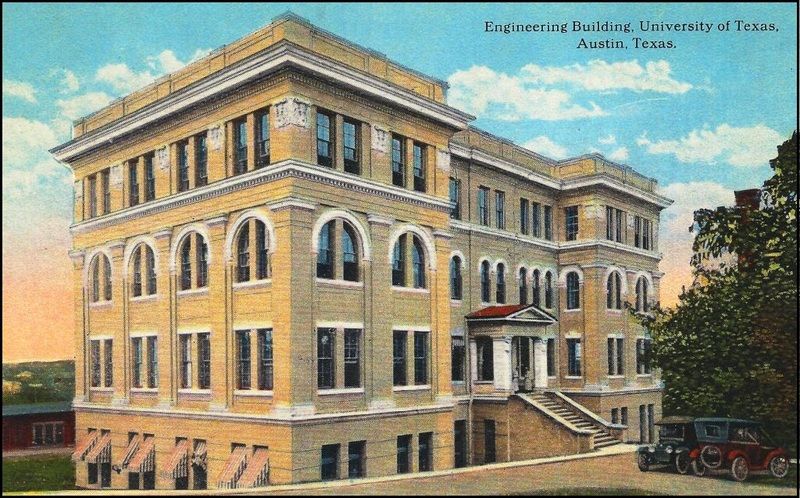 The Engineering Building, newly opened in 1904, was to be transformed into the venue they needed, and they planned to invite the public to celebrate with them. Thanksgiving Eve was chosen as the date, as engineering alumni would be in town for the football game and could attend as well. As they began to plan, the students soon discovered that their Engineering Building, though full of classrooms, a library, and labs, would be a great place to host a party. The roof offered a grand view of the campus and the Texas Capitol to the south. 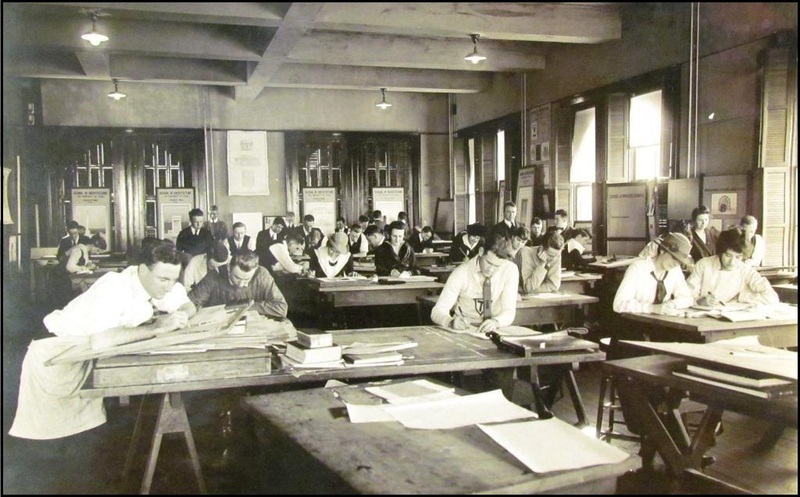 The top floor, a single, well-lit open room, was the drawing studio, and was easily the best choice for a ballroom. A lecture hall along the east side of the second floor was a natural for a planned variety show and smoker, and other rooms in the building could be remade into lounges. The reception opened at 7:30 p.m. and guests were treated to a building thoroughly transformed from basement to roof. 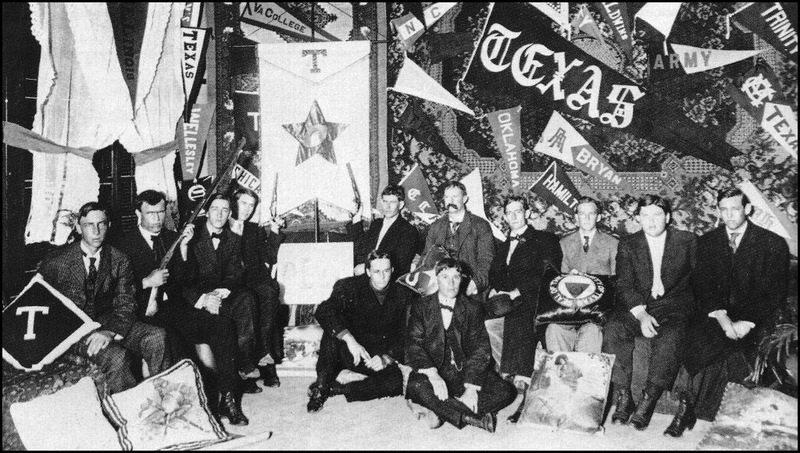 The stairways and rooms were draped with holly, imported by train from East Texas, along with orange and white bunting and large Texas pennants. Newfangled electric lights of various colors, powered by a basement generator in the electrical engineering lab, were strung across the ceiling of the top floor ballroom. For the first hour-and-a-half, the focus of the reception was in both the second floor classroom and on the roof. The classroom was the scene of a variety show, where the students performed skits – which often poked fun at the faculty or rival law students – sang songs, and led the audience in some UT yells. Upstairs, Besserer’s Orchestra, a popular Austin band, played a roof top concert of familiar tunes. The crowd was invited to sing along. Above: It was standing room only to watch the skits, songs and yells of the variety show on the second floor. Click on an image to see a larger version. At 9 p.m., the formal dance began on the top floor. The drawing tables had been shoved together in a corner on the west side as a makeshift stage, Besserer’s Orchestra descended from the roof, and everyone had dance cards inside their programs. Each dance for the evening was listed – a waltz, two-step, schottische, or others – with a blank where the name of the dance partner could be written. At the time, it was the usual social custom to reserve dances in advance. The reception’s earlier entertainment was, in part, intended to give the gentlemen time to ask the ladies for dances and fill in their respective cards. Those who chose to sit out a dance would find refreshments on the east side of the top floor, and could either return to the roof to rest and talk, or join the post-variety show smoker on the second floor. Traditionally, smokers were for the men. (It was considered unladylike for a woman to smoke, especially in public.) Cigars were provided, and it was here that many of the engineering alumni settled to reminisce with their fellows and relay stories of their time on campus to the students who visited. In addition to the roof top lounge, the four engineering classes – freshman, sophomore, junior, and senior – had each decorated a room in the building to serve as additional sitting rooms. A contest was declared, a committee of faculty obliged to be judges, and the junior class room was declared the best. Above: The Junior Room was dubbed the best class-decorated sitting room at the reception. The walls were covered with hanging carpets, UT and other college pennants attached to the carpets, and the room outfitted with couches and pillows. Dancing continued until 1 a.m. Thanksgiving morning, when the guests, tired but happy, returned home. The affair was considered a complete success. Over the next decade, the Engineering Reception attracted capacity crowds, the decorations and planning became more elaborate, and a pre-reception Open House was added in the afternoon for visitors to explore the basement laboratories and enjoy science and engineering demonstrations. In 1917, with the onset of the First World War, the tradition was reluctantly discontinued. Above: Program covers for the Engineering Reception were elaborate. 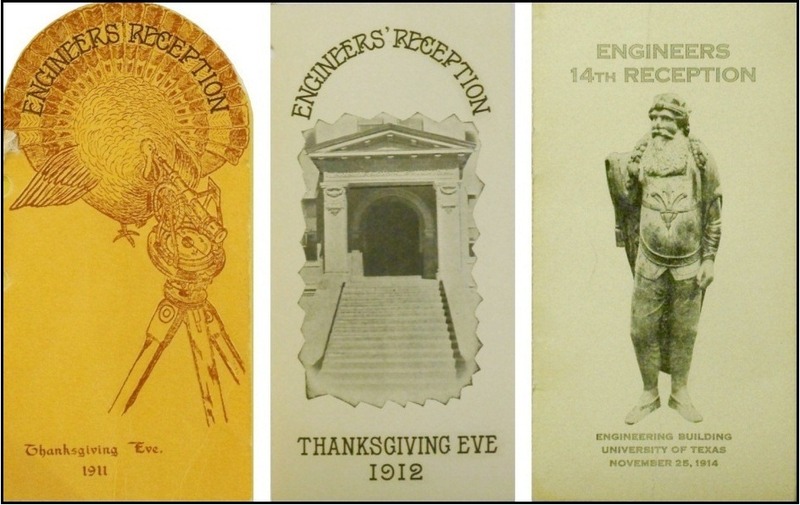 From left, a Thanksgiving turkey on a survey, the entrance to the Engineering Building (now the Gebauer Building), and an image of the original Alec, patron saint of the Texas Engineers. Click on an image for a larger version. 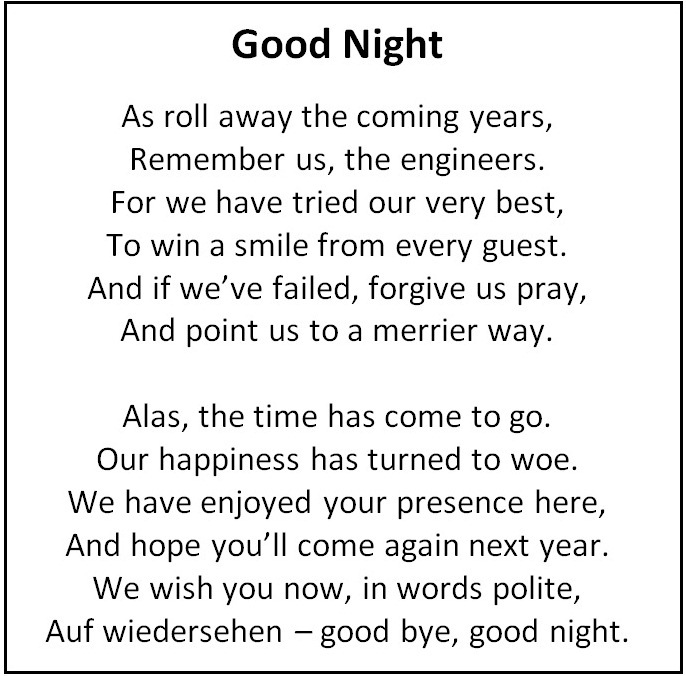 Above: The farewell message from the last page of the Engineering Reception program.